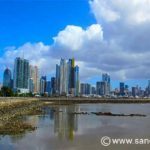 Around Town in Santa Catalina Panama - You prefer diving or surfing? 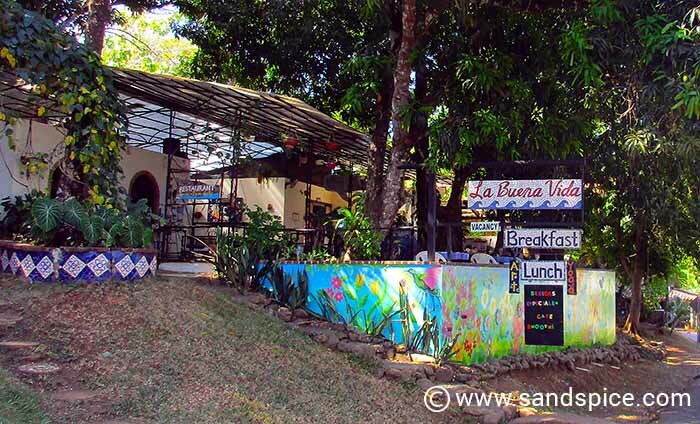 Santa Catalina is a relaxing place to unwind, especially after spending a few days in Panama City. 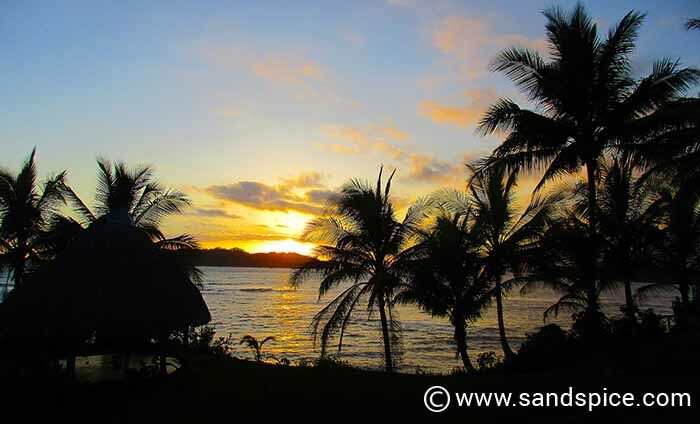 This is a small resort town on the Pacific coastline, south of Santiago. The town is centered between 2 beaches: Playa Estero for the surfers and Playa Santa Catalina for the divers. 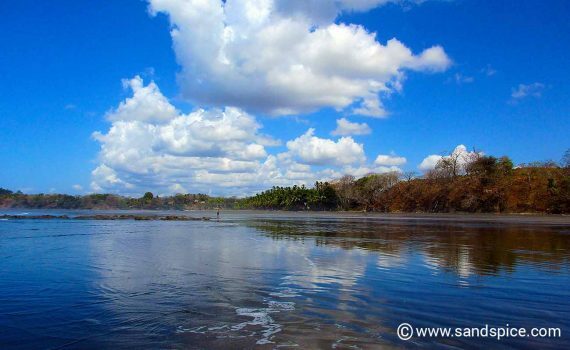 Surfing on Playa Estero – the larger of the 2 beaches – and snorkeling or diving around Coiba are the main recreational activities. The beaches themselves might not be to everyones taste. 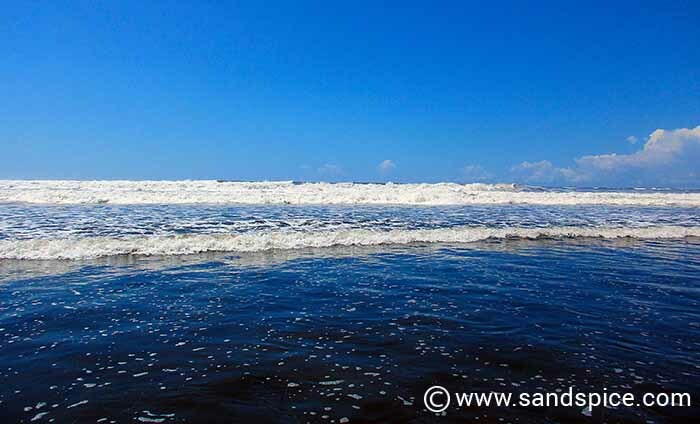 Black sand interspersed with rocks and a daily tide that takes the sea out a good 200 yards in the mornings. A cross between Tenerife and Blackpool would be a fair description. At least the sea is warm, and has lively surfing waves to keep you on your toes (or your head, depending on your agility). 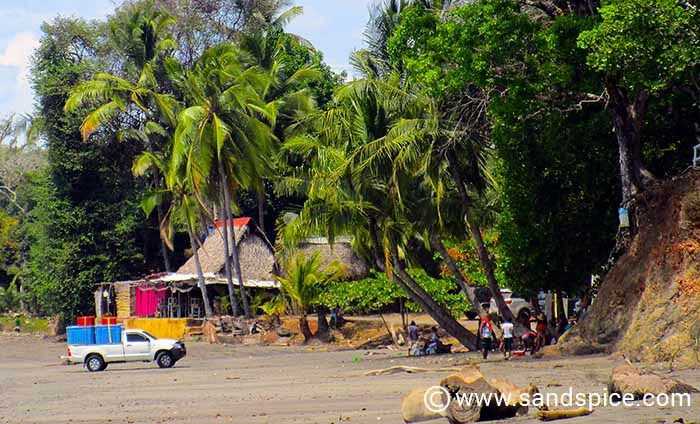 The smaller Playa Santa Catalina is ok for swimming, but not so Playa Estero. There, the waves are huge and relentless, with a powerful undertow: Caution advised. Also watch out for the rapidly moving currents, which can suddenly swamp an area of beach you might consider safe. On two occasions we came very close to losing our shoes and bags to the currents. Because of the churned and murky waters, you also have to tread carefully to avoid hidden (and painful!) rocky areas. 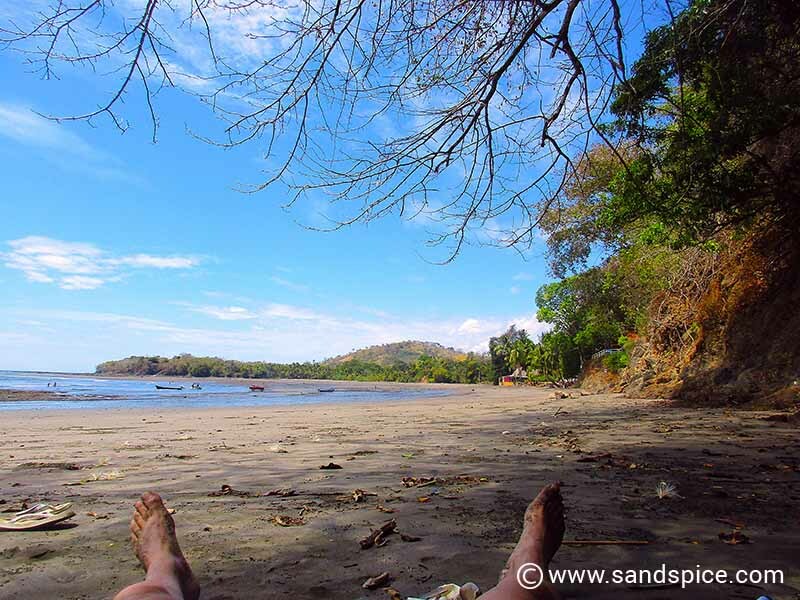 For white sand, you’ll need to fork out $60 per person for a boat trip (including snorkeling gear) to Coiba. Once there, you’ll need to pay another $20 per person to enter the ‘National Park’. 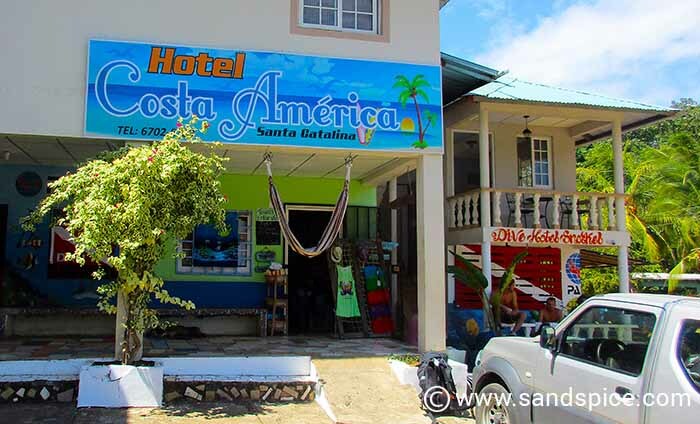 For accommodation in Santa Catalina, after much online searching we chose the Hotel Iguanito. They gave us a clean but basic room with a private bathroom and a large shared veranda. The room was dark and lacked any storage facilities, but the bathroom was modern with a really good shower. Importantly, the room had both AC and a fan. When we arrived there was a power cut which meant we had to wait a few hours before we could take a shower. Somehow, the water supply was dependent on the electricity. The following late evening there was another 3-hour power cut. Without the aid of a fan, this made it very uncomfortable to sleep. We had dinner once in the guesthouse, which was excellent, including a delicious Thai curry. We paid $56 per night for our room, excluding breakfast. A bit on the pricy side for what is offered, which because of the veranda is not very private. The veranda sitting area would be fine for just 2 rooms. 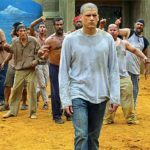 However, it is shared by all 4 rooms. Because of this, you may be unlucky with noisy or discourteous neighbours drinking late into the night literally in front of your bedroom door. 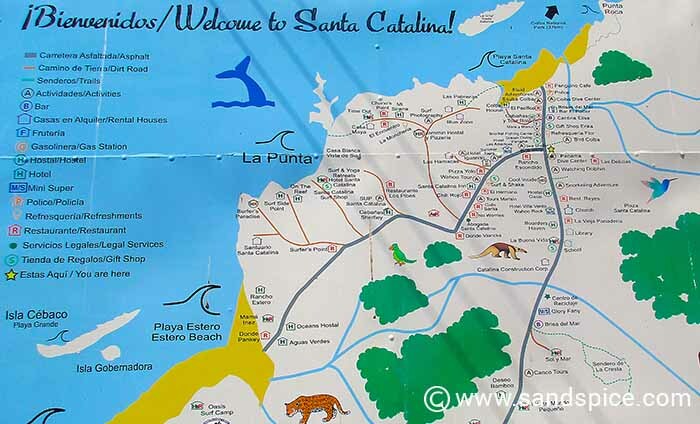 In Santa Catalina ‘town’ you can find 2 very small supermarkets and one or two shops. 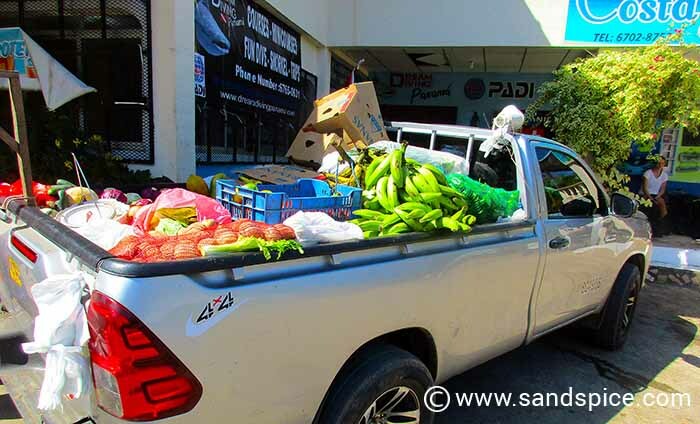 Most days a van drives around town selling fruit and vegetables. Listen out for his megaphone as he drives past. We didn’t find a bank or ATM, so you need to bring sufficient cash for your stay with you. Some guesthouses, like the Hotel Iguanito, do accept credit card payments. There is a variety of small cafes and restaurants where you can eat. Count on around $10 per person for breakfast and $20 per person for dinner, including drinks. For lunch, we bought fruit and snacks from town and ate them on the beach. 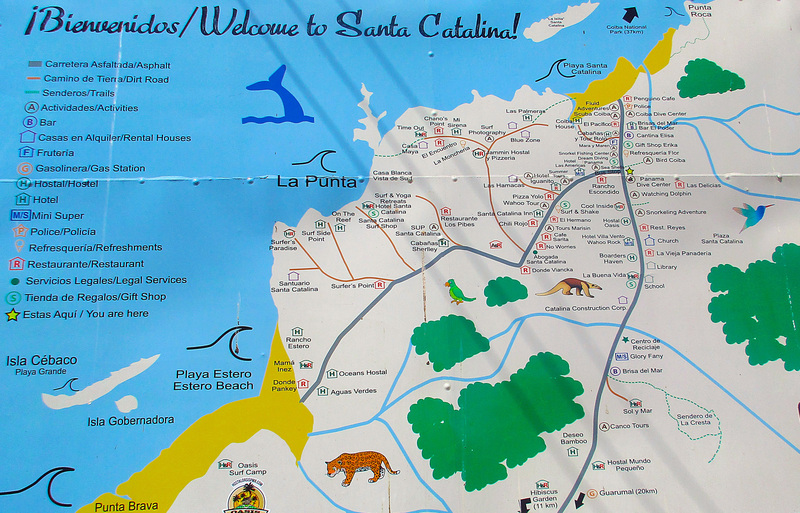 We spent three nights in Santa Catalina, which was just about right. 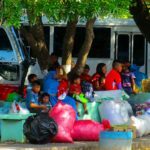 After this, we headed west again to David, and then onwards further north to the highlands of Boquete.